← Anything Orchids will be in Rockford February 27-28. Our first show will be the Porter County Master Gardeners at the Expo Center in Valparaiso, IN on January 27. And remember, neither rain, nor snow, nor sleet, nor hail keeps these gardeners from having their show! 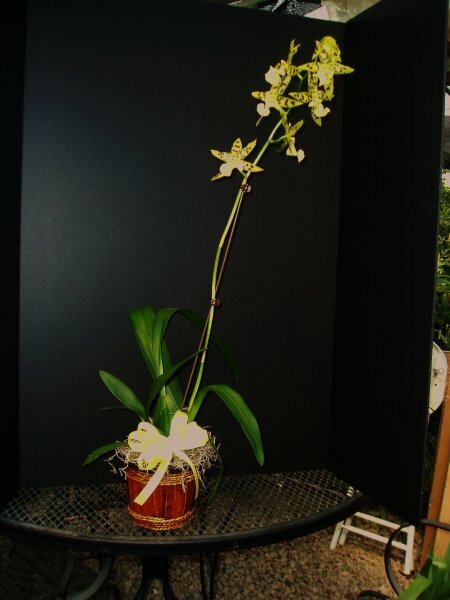 The Madison Orchid Guild is the week-end of February 3 & 4. Same thing for these folk. Just remember we can wrap your flowers so they can handle a quick trip to the car. A quick trip to the house and you are on your way to lovely orchids. February 10 and 11 sees us in Rockford at Nichols Conservatory. They are hosting an orchid extravaganza. Come see their lovely greenhouse full of orchids. February 17 and 18 is the South Suburban Orchid Society’s Show at the DuPage Fairgrounds in Wheaton.